After an impromptu waffle iron buy last night, we decided to make waffles this morning! 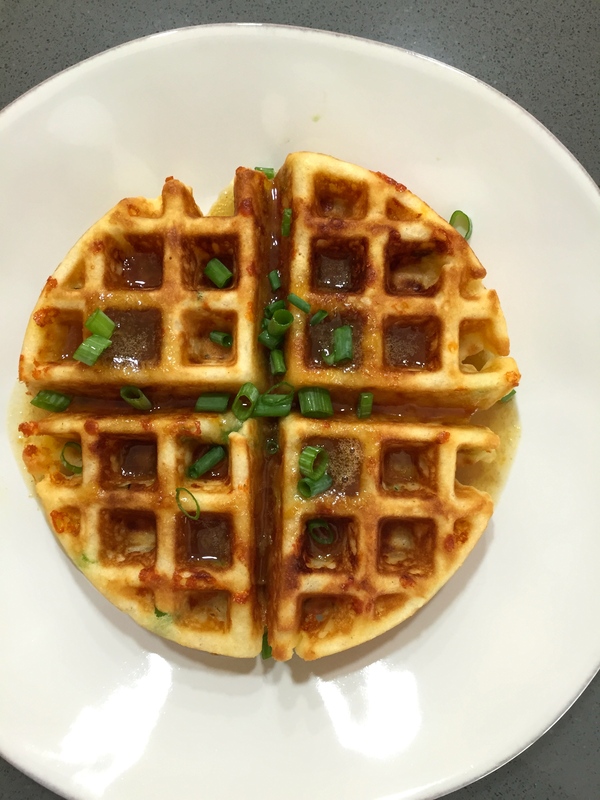 This savory waffle is delicious with the mustard syrup! And the best part is, it is so easy to make! 1. Whisk the flour, sugar, baking powder, salt and baking soda in a large bowl. 3. Preheat a waffle iron; lightly brush with vegetable oil, then fill with batter three-quarters full and cook until the waffles are golden and crisp. 1. Combine the syrup, mustard and salt in a saucepan over medium heat. 2. When the mixture begins to bubble, turn the heat to low. Stir until well combined. 3. Pour into a serving container and serve immediately. Pour the syrup over the waffles to serve and enjoy! 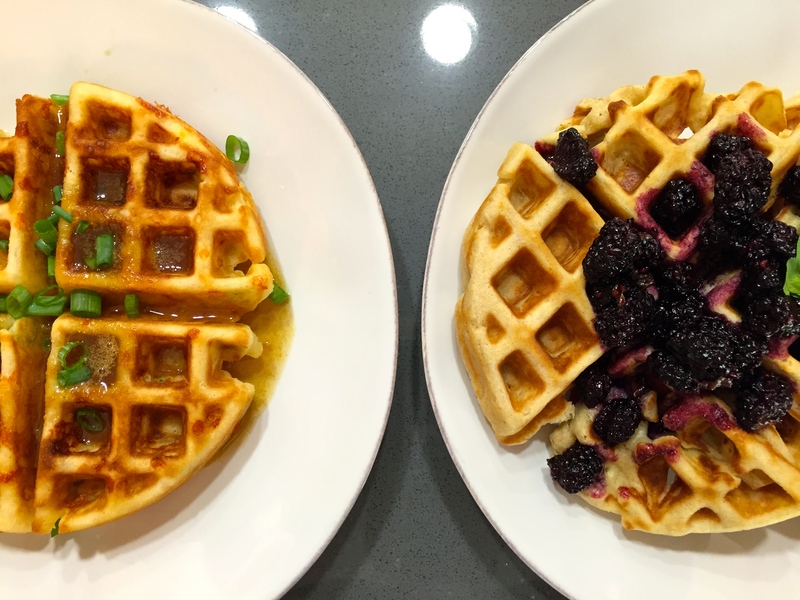 After an impromptu waffle iron buy last night, we decided to make waffles this morning! 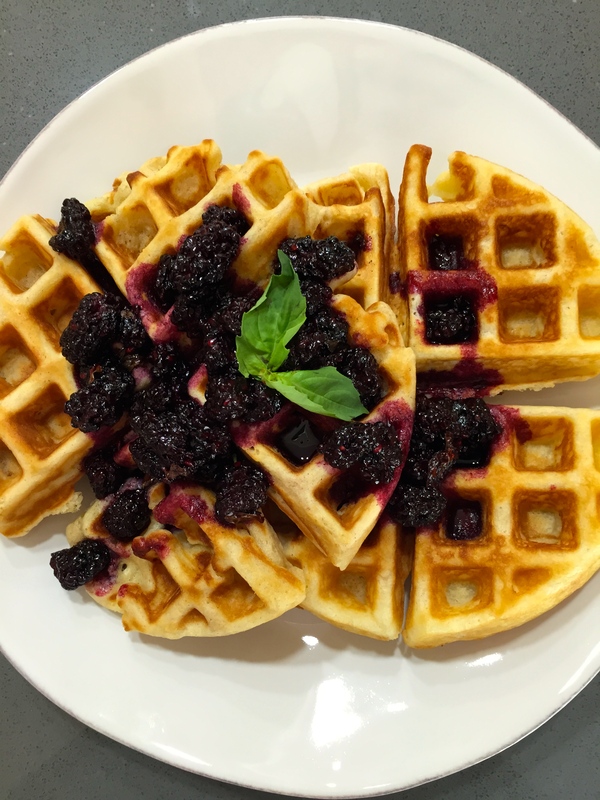 This sweet waffle is delectable with the blackberry and basil sauce. And the best part is, it is so easy to make! 1. Combine the blackberries, sugar, and water in a small saucepan. 2. Bring to a boil and cook at a boil for 5 minutes, scraping the bottom as needed to keep from burning. 3. Reduce heat to low; simmer the mixture until thick, about 10 minutes. Serve warm. Drizzle the sauce over the waffles to serve, and enjoy!